What Does Converting Video to mp4 Digital Files Mean? 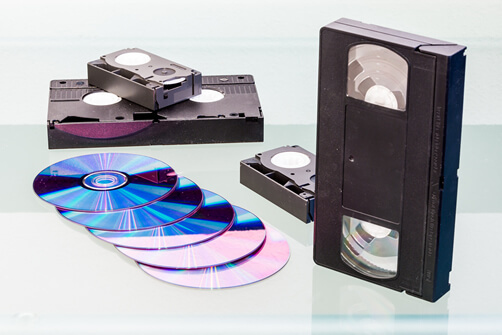 Types of formats we can convert: VHS-C, Hi8, D8, 8mm, Betamax, DV, mini DV, DVCAM, 3/4″ Umatic SP, Betacam SP, HD, HDV and VHS! The equipment used to transfer VHs or Camcorder videos to MP4 files is professional, commercial quality. Improving the quality of your video occurs by correcting and balancing color and light when using our numerous machines and decks to produce your MP4 file. After the videos are put into our computers, we’ll upgrade audio and correct any noise levels, to be certain your files are the best they can be. How About the Quality of the Conversion? 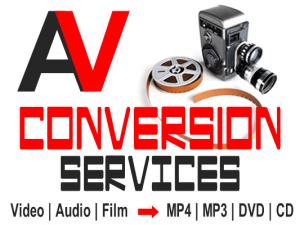 At AV Conversion Services it’s excellent. We have the technology to create high quality conversions. It’s what we do every day. The original files are processed by using computers to “view” your old media type and re-record them in the new Mp4 format. We use very specialized equipment to ensure that the quality is not only preserved – but often improved from the original. Editing Your Converted Files​: This is also a huge benefit of having Mp4 files. You’ll be able to edit your files on any Windows or MAC computer using just about any video editing application. This is a great feature, since you may want to join segments, create holiday movies from separate files, or even cut out segments… before sharing them. Some of the popular software that can edit your new movies are iMovie, Windows Movie Maker, Adobe Premiere, Final Cut, Sony Vegas, and the list goes on. Quality output always begins with quality equipment. At AV Video Workshop we have top line industry standard equipment. If you’re a video geek, this will make sense to you. If you’re not, then at least you’ll know that we are! As it should be. We only use professional, commercial grade tape decks to “view” your old movies. But don’t worry, we don’t sit around watching your old movies. Computers do the watching. Otherwise it would take, well, years to get back to you! Computers are faster, and focus on the job at hand. To correct some flaws on the fly, we use Video Stabilization technology with TBC (Time Base Corrector) to correct those waves and “jitters” in your old movies. In some cases the color seems a “bit off”, so we use Luminance (which is light) and Chrominance (which is color) separation technology during the transfer process. In layman terms, it means you’ll get sharper images. A better quality movie. Often, the audio track needs some tweaking, so to clean that up a bit, we use Audio Level Optimization & Noise Reduction technology. Noise reduction simply means we take out as much of that annoying hissing, or buzzing sounds that are not usually loud, but make the sound less clear and less crisp. This technology looks for any sounds that are not meant to be there – and removes them as much as possible. Cool stuff. Sure. There are DIY options in everything. 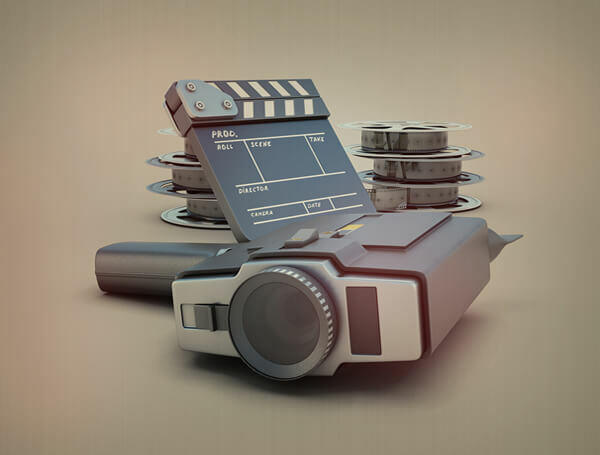 For video conversion, you’ll have to be prepared to do each one manually, buy the equipment and learn how to use it. Also, you’ll need as many hours as you have tapes and content. In addition, the quality of the output will not have the benefit of the many video and audio corrections made by our experts and the technology we use. The Ordering Process: If you’re close to our store, then just come on in! But you’re probably not, and you don’t need to. We serve folks all over the nation through our very efficient online store. 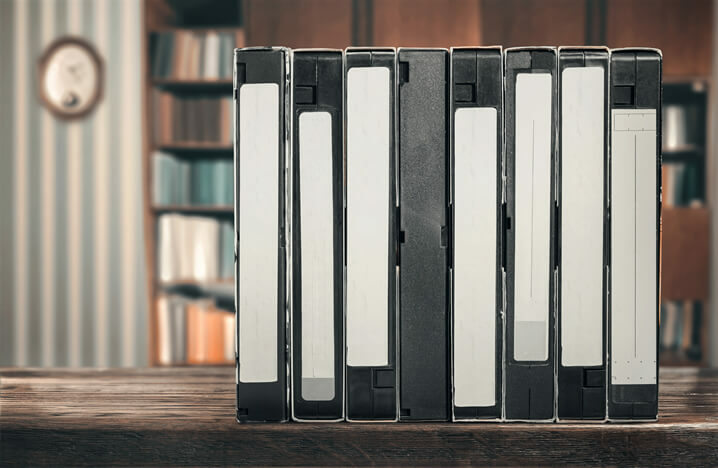 All you have to do is count how many tapes you have, select if you’re a MAC or PC user, decide if you want playable DVDs to go with the drive (A USB Flash) that you’ll receive – and ship your tapes to us. That’s it. When you’re conversions are done, we’ll ship all your tapes back, clearly labelled to match the files on your new digital drive. And yes, all your movies will probably fit on a single USB Drive! That’s cool technology. So all you’ll have to do is plug the drive into your computer and start watching! Typically, you can get about 120 hours of movies onto a Drive with 1 TB of available memory​. In case you’re wondering about the Hard Drive you’ll need. You can supply your own, as long as you have enough room on it. Generally, 1 hour of Mp4 = 8GB. Also, we cannot use an external drive that’s formatted FAT32. We do stock external drives and USB Flash drives if you’d prefer that we set you up with that. It’s up to you. We also convert PAL video tapes to NTSC, but there’s an addition charge of $10 per tape for that. You may want to have AVI or Quicktime files. Yes, we can do that too! The uncompressed versions of these AVI and Quicktime formats are in fact the highest quality of video available.